Written by Stuart Moore, art and cover by J. K. Woodward. 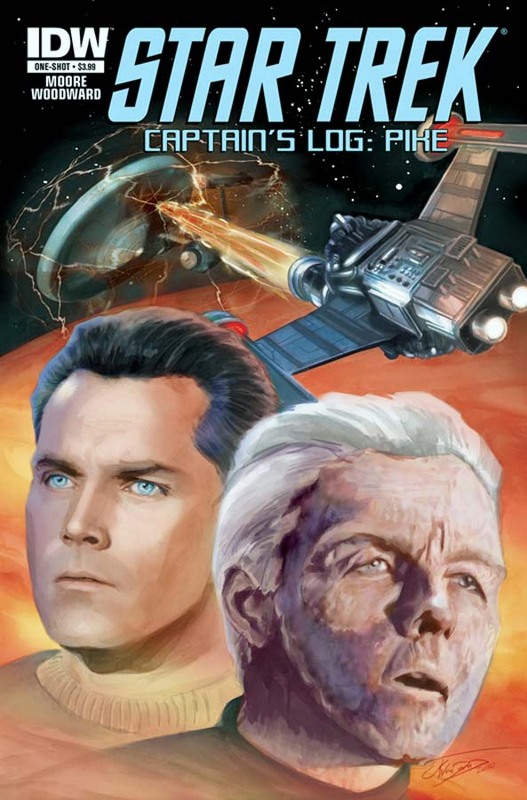 After the events of Talos (Which were detailed in the classic television two-parter, The Menagerie), Captain Christopher Pike and the crew of the Enterprise have been called back to Earth for a debriefing. Upon entering our solar system they are attacked by a suspicious spacecraft--could this episode somehow be linked to Talos... and what eventually awaits Captain Pike? 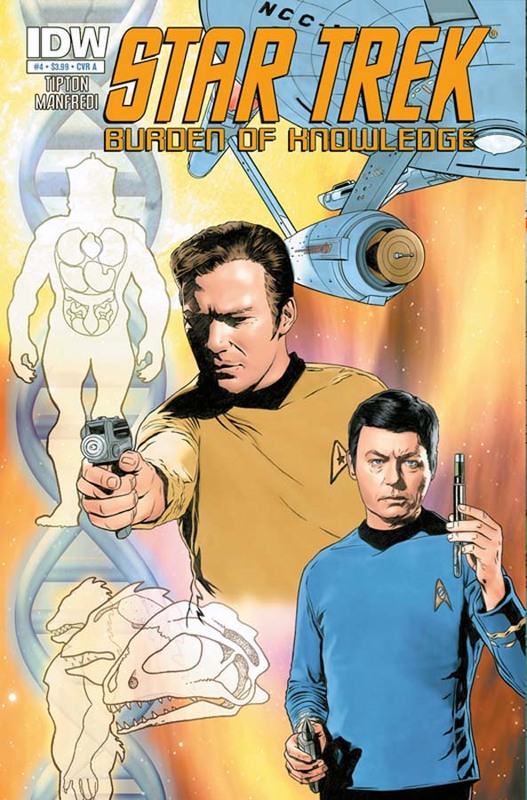 Written by Scott & David Tipton, art by Federica Manfredi, cover by Joe Corroney. Looking forward to both of these titles. I light month in quantity, but heavy in quality.